“Come for the Marathon, Stay for the Barbecue.” That’s just one of the many slogans used by the Kansas City Sports Commission to inspire and empower people through sports. 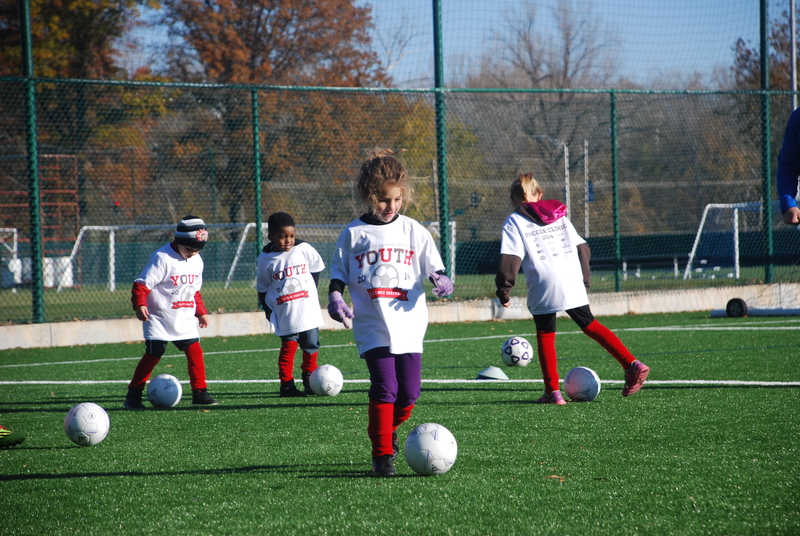 Founded in 1966, the Kansas City Sports Commission works to promote sports and recreation in the metro area and has generated roughly $750 million for the local economy in the past 25 years through youth clinics, luncheons, and community-sponsored athletic events. Two big events hosted by the Kansas City Sports Commission are the Phillips 66 Big 12 Men’s Basketball Championship, which generates more than $9 million, and the Kansas City Marathon, which brings in nearly $1.5 million. President and CEO Kathy Nelson has her sights set for even more, though. Nelson was hired in 2010 as the director for the Women’s Intersport Network for Kansas City program. A year later, with the passing of then-president Kevin Gray, she filled the role as president of the KC Sports Commission. After discussing the job with her husband and daughters, Nelson accepted and hasn’t looked back. 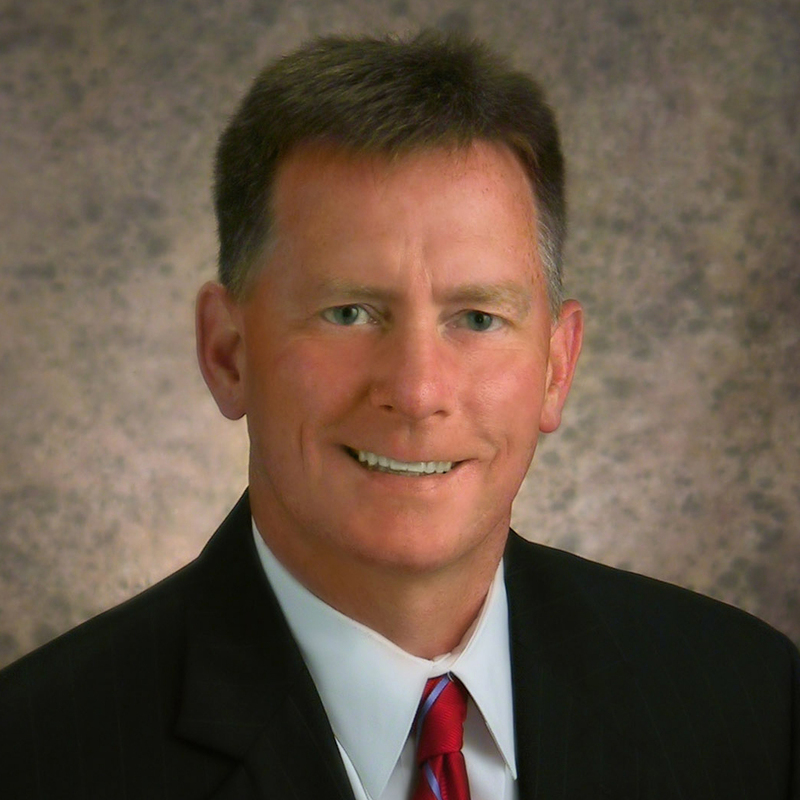 Nelson’s job includes planning the many commission-sponsored events. For the Kansas City Marathon, a Boston marathon qualifier, there is a year-round committee that plans food, water, and prepares for the unpredictable. “As the marathon grows, safety concerns have to grow, and we have to be mindful of that,” Nelson says. In the wake of the 2013 Boston Marathon bombing, a strict safety and disaster plan was created. The marathon draws around 10,000 runners each year. The commission and the city work as partners for the race, which includes coordinating road closures and opening fire hydrants for water during the race. “The city has been learning more about the commission and understanding the scope of the commission, and we really rely on their cooperation,” she says. 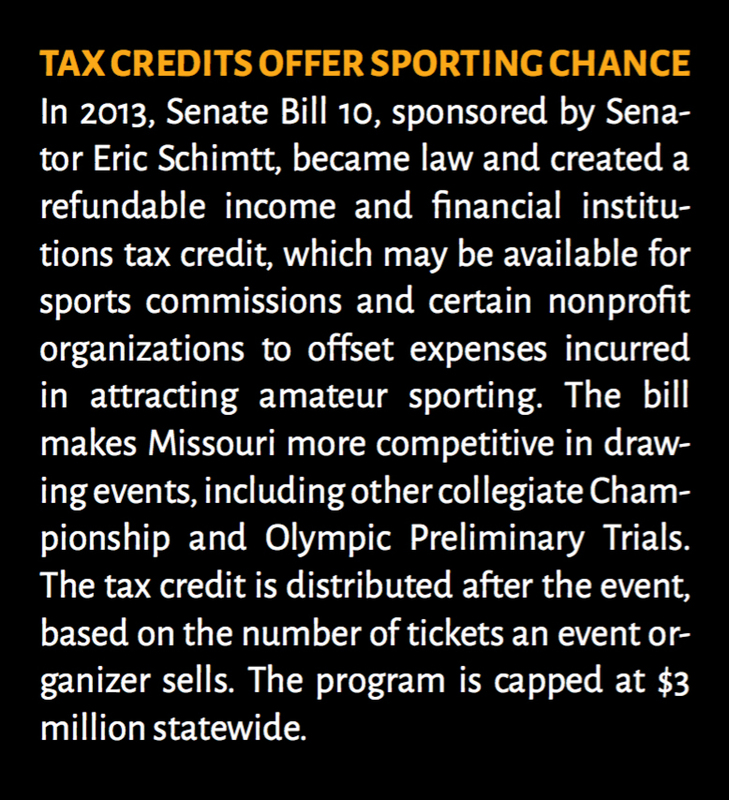 The biggest of the commission’s annual events is the Big 12 basketball tournament each spring. Millions of dollars are generated for the local economy. “Kansas fans are within driving distance and can go home, but Iowa State is just far enough away that folks book hotel rooms and stay to eat here, which is great for the city,” Nelson says. 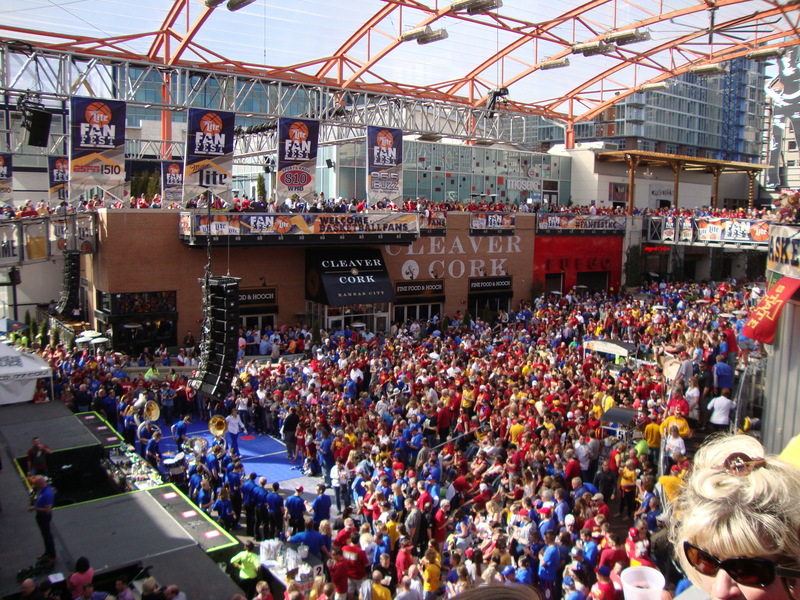 Kansas City benefits from ticket sales, concessions, and hotel reservations during the duration of the tournament. Nelson looks forward to the Kansas City Sports Commission hosting bigger and better events in the future, including Olympic qualifying tournaments and more NCAA Championships.